On this date, June 25th, 50 years ago in 1968 one of my all-time favorite Giants players made his MLB debut. And what a debut it was! 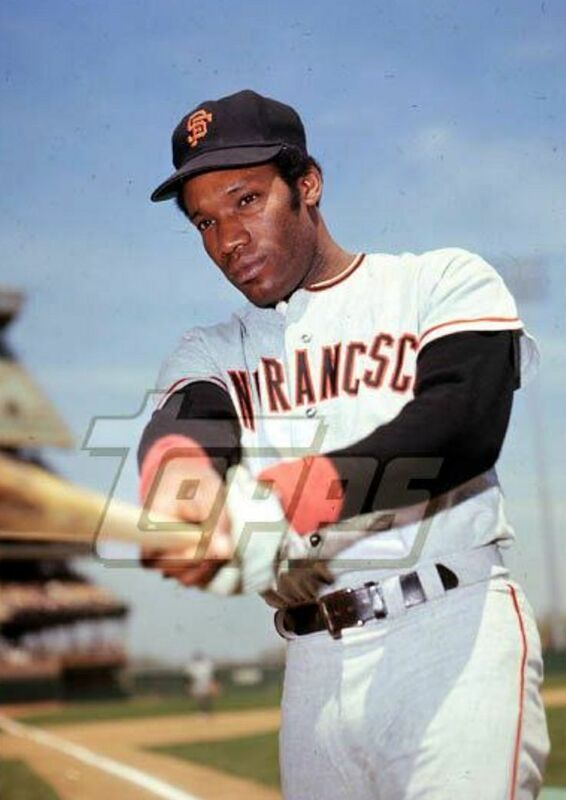 I’m talking about Bobby Bonds, father of Barry Bonds. In honor of the 50th anniversary of Bobby Bonds’ debut I’m posting this chapter from my book, Falling in Love With Baseball. In honor of this 50th anniversary of Bobby Bonds’ debut I’m also offering $10 off my acclaimed book, Falling in Love With Baseball. As always, MavoBooks will donate $3 to the ALS Association to strike out ALS. This special sale is only good through June. Shipping is always free when buying directly from MavoBooks. If you’re interested in buying a copy of my book at this special price please go to MavoBooks.com/shop. Please help us strike out ALS while you get a beautiful book! This piece was written for a baseball blog in 2013 on the forty-fifth anniversary of Bobby Bonds’s sensational debut. A few people have asked me to write about some of the Giants’ history that I have had the pleasure of witnessing these past fifty-six years of Giants baseball in San Francisco. Here is a story about a very memorable moment in that history. I hope you enjoy it! This Tuesday our Giants will be playing the Dodgers. It is also the 45th anniversary of Bobby Bonds’s debut, which was against the Dodgers also on a Tuesday night. And what a debut it was! In Bobby Bonds’s first game in the big leagues, he made an instant impact on this heated age-old Giants vs. Dodgers rivalry. I think younger Giants fans would like to know the context of this debut and older Orange-and-Black fans be reminded of a sweet memory. The Giants were in the midst of being bridesmaids for five straight years. They were again chasing the defending champions, the St. Louis Cardinals, for the elusive pennant. 1968 was rightly called the “Year of the Pitcher.” The slugging Giants with Hall of Famers Mays and McCovey plus slugger Jim Ray Hart barely hit 100 HRs that season. Pitching that season was so dominant that the League ERA for the NL was 2.99. After the season, to boost offense, baseball lowered the mound from fifteen inches to where it is today, ten inches. Bobby Bonds had been tearing up the Pacific Coast League that spring. He was batting a cool .370 with an OPS of over 1,000. I remember following his progress weekly in The Sporting News, at that time truly the bible of baseball. It was merely a matter of time for him to get called up. And that call came on June 25, 1968. The Giants were opening up a thirteen-game home stand at The Stick against the hated Bums from L.A. So it was with much interest that we all waited to see what this phenom Bobby Bonds could do. Could he boost the offense to give us a chance against the Cards this summer? The pitching match-up was a pair of stylish lefties, Claude Osteen for the Dodgers and the much maligned by Giants fans Ray Sadecki. Most of us Giants fans had not forgiven poor Sadecki for being the player who was acquired for our beloved “Baby Bull,” Orlando Cepeda, two years before. All Orlando did in 1967, the year after that trade, was win the NL MVP unanimously and lead the Cardinals over the second-place Giants to the World Championship! We did not care that Sadecki was having two good years as a Giant. He went 12–6 in 1967 with a sub 3 ERA. This Year of the Pitcher he actually again had a good 2.78 ERA and threw six shutouts. But runs were so scarce in 1968, even on the slugging Giants, he led the NL that year with eighteen losses (and recent Giants fans used to fret over Matt Cain not receiving run support)! This night he was to throw the best game of his Giants career: a two-hit shutout with ten Ks! But all attention was on the twenty-two-year-old Bonds making his debut in the seven hole that night. Going to the sixth, Bobby had grounded to short in his first AB and then got plunked by Osteen in the fifth. But even that helped the Giants score as it loaded the bases with no outs and they tallied when Hal Lanier hit into a DP. It was Giants 1–0 going to the bottom of the sixth. Sadecki had only given up one hit, a double to the pitcher Osteen in the third while striking out seven! In the sixth, the Giants started to get to Osteen. The ex-Dodger and new Giant that year, Ron Hunt, led off with a single. He moved to third on a double by Jesús Alou. Then the Dodgers walked McCovey to load the bases and pitch to Mays! Yes, you read that right; they walked McCovey, a lefty-lefty match-up, to pitch to the best ballplayer in history in my opinion . . . Willie Mays! Fans today do not realize what terror Willie “Stretch” McCovey struck in the hearts of baseball managers back in his prime, even in the Year of the Pitcher. How did it work out for the Dodgers? Osteen walked Mays to force in a run and make it 2–0. The Dodgers’ manager, Walter Alston, went to the bullpen for John Purdin, a hard-throwing right-hander with some promise. Purdin promptly walked Jim Ray Hart to force in a third run, and it was 3–0. Still none out and bases juiced. Purdin rallied and struck out Jack Hiatt. One out, bases loaded, and here came the rookie Bobby Bonds to the plate. Could he ice the game for the Giants and make it a blowout? Could he! He laced a Purdin pitch out of The Stick, wind be damned, for a grand slam in his first game in the majors! Giants 7, Dodgers 0, and joy all around Northern California for those who heard Lon Simmons say, “Tell it good-bye!” Game to the Giants, especially with Sadecki blanking the Bums that night. So, that is the way the super-talented Bobby Bonds broke into the majors that Tuesday night forty-five years ago, in the midst of the Year of the Pitcher and against our blood rivals, the Dodgers. Barry’s daddy could play some ball also! This Tuesday night, give a thought to the late Bobby Bonds and maybe tip your Giants cap that I’m sure you have on.